We here, at Outwork Jewellery Services, are a passionate team who are dedicated to offering a specialised bespoke service tailored to fit the needs of each individual client. From the jewellers to the support staff, our team believe in creativity, excellence and continuously strive for customer satisfaction. Our bespoke service allows you to create something that is personal and totally original while in the safe hands of our skilled jewellers. The specialised bespoke service is designed for the customer to be at the forefront during each step of the process, from that initial spark of inspiration to holding the finishing product within their hands. Taking an important role through each step as their unique item moves smoothly through the workshop. 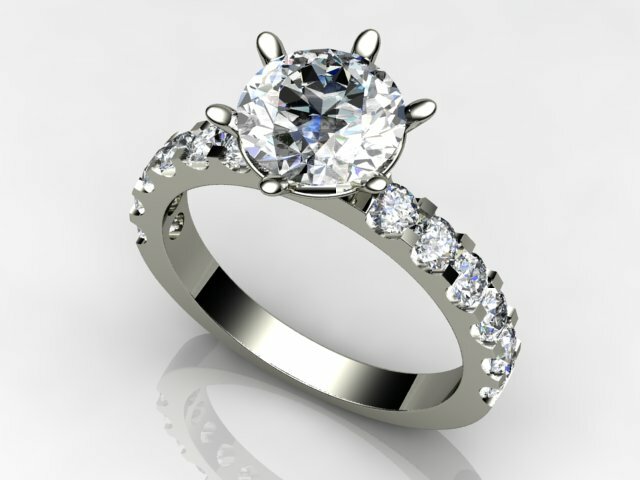 With the use of our state of the art cad cam machine and our jewellers many years of expertise and knowledge we are able to create unique, one of a kind jewellery items to our customers specifications. This cutting edge machinery ensures the success of this service. Skill, passion and effort are all involved within creating innovative designs for that perfect piece of jewellery, all of which Outwork Jewellery Services are guaranteed to pour into each item that comes through our workshop. Here you can find images of previous work we have created for customers using this personalised service. Please feel free to contact us if you would like further information regarding any of the below items, or if you would like more information on the service itself. For further information on each item please click on the reference beside each specific photo. Quotes and estimates can be supplied upon request. Please do not hesitate to get in touch. 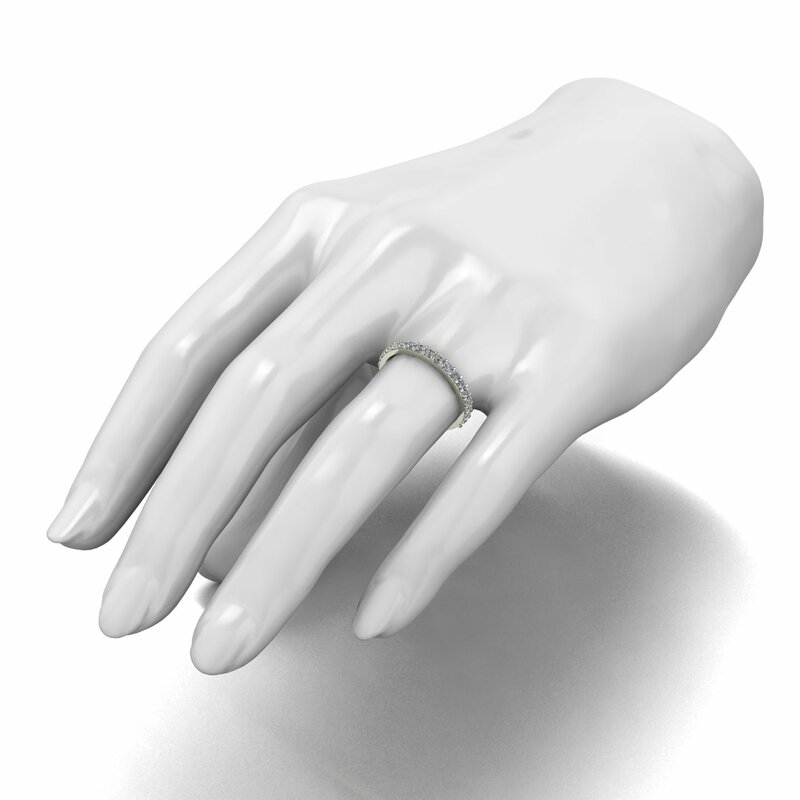 18CT WHITE GOLD DIAMOND SET RING. 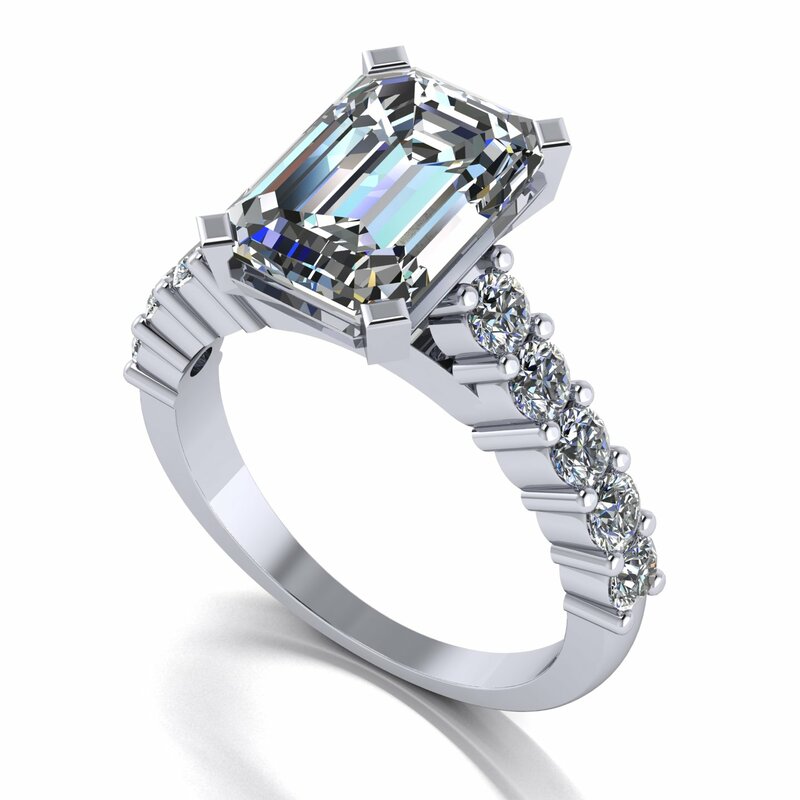 18CT WHITE GOLD EMERALD AND PRINCESS CUT DIAMOND SET RING. 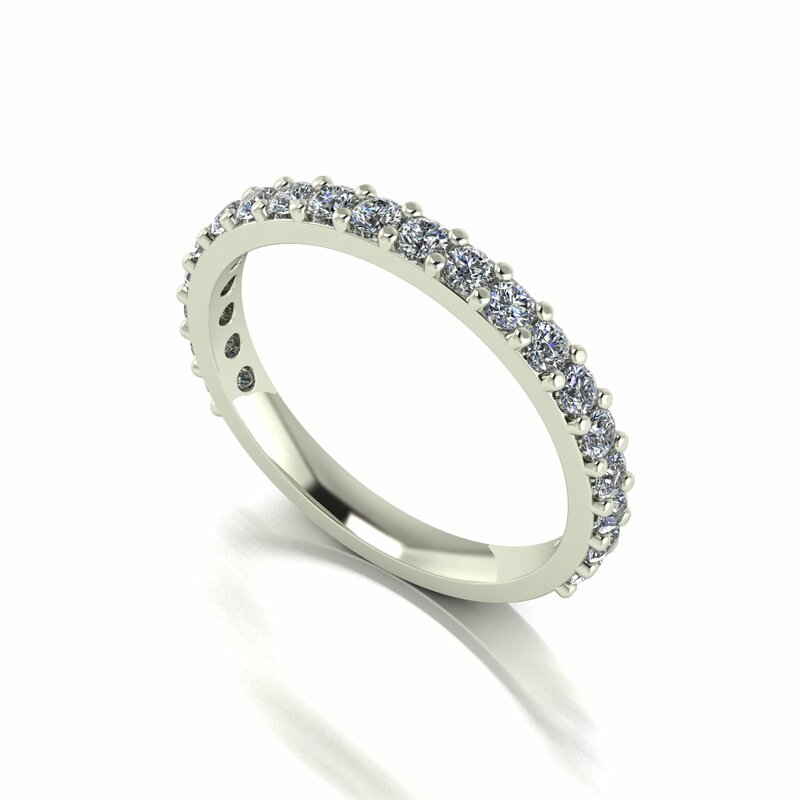 18CT WHITE GOLD 3/4 SET E.T BAND. 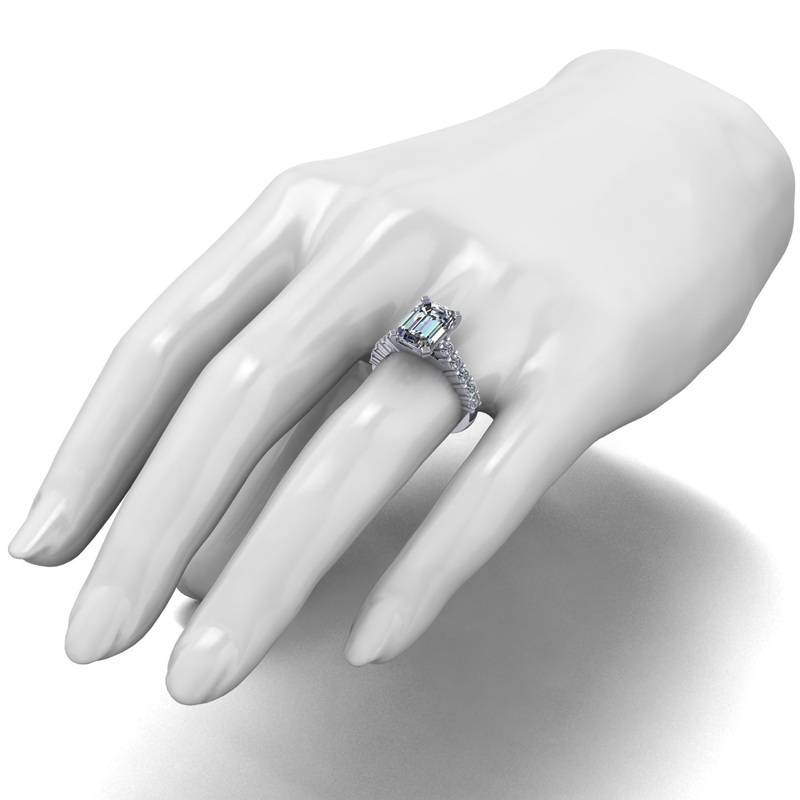 EMERALD DIAMOND WITH ROUND DIAMOND SET SHOULDERS SPLIT SHANK, ENGAGEMENT RING. 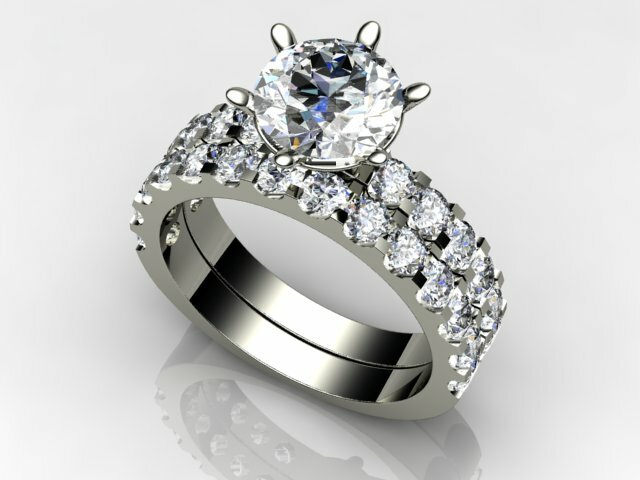 ROUND DIAMOND SET ENGAGEMENT & WEDDING FIT SET.